The 150MW Jiangsu Rudong Offshore wind project was completed in November 2012. Image courtesy of China Longyuan Power Group. 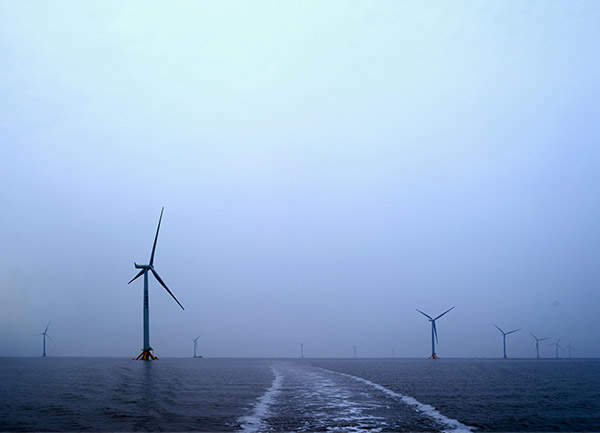 The Jiangsu Rudong offshore wind farm is installed with 58 wind turbines. Image courtesy of Siemens. 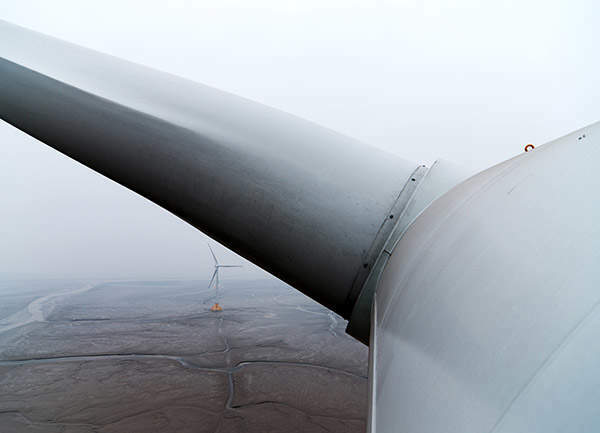 Siemens supplied 21 wind turbines for the Jiangsu Rudong wind farm. Image courtesy of Siemens. 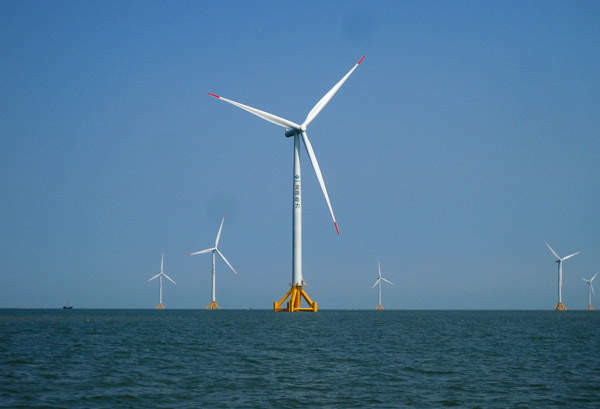 The Jiangsu Rudong offshore wind farm was built in two phases of 100MW and 50MW each. Image courtesy of Siemens. The Jiangsu Rudong offshore wind farm, with an installed capacity of 150MW, is China’s largest offshore wind firm so far. It is also the country’s first intertidal offshore demonstration wind farm. Located off the coast of Rudong County, Jiangsu Province of East China, the facility became operational in November 2012. 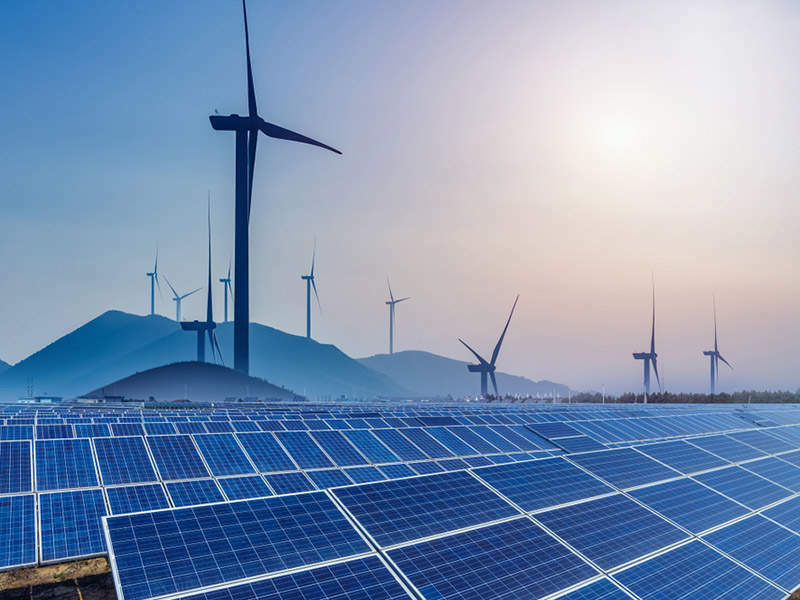 China Longyuan Power Group, a subsidiary of the state-owned China Guodian, built the Jiangsu Rudong wind facility through its subsidiary Jiangsu Longyuan Offshore Wind Power. "The renewable power project is claimed to cut 247,000t of CO2 emissions." Construction was completed in two phases, with the 100MW first phase starting in June 2011 and completed by the end of 2011. The 50MW second phase came online in November 2012, marking completion of the project. It is claimed that the wind farm will generate approximately 375 million kWh of electricity per annum. The renewable power project is also claimed to cut 247,000t of CO2 emissions and save 97,000t of standard coal. The Jiangsu Rudong wind farm is being projected as a marker of Chinese prowess in offshore wind power technology and will serve as a reference model for future nationwide windpower development in the China Sea. The National Development and Reform Commission of China approved the 150MW Jiangsu Rudong project in December 2010. It was undertaken after completion of a 32MW intertidal Offshore Pilot Wind Farm off the coast of Rudong. Drawing from the experience of the 16-month pilot project, Jiangsu Rudong phase I was completed in five months, while phase II was finished in four months. All the turbines of the wind farm were connected to grid by September 2012. The total investment in the project reached approximately CNY2.32bn ($397m). Most of the offshore construction equipment was manufactured and supplied by Jiangsu Longyuan Zhenhua Marine Engineering. It includes more than 20 special ships. A specially designed flat-bottom construction barge equipped with a 360° slewing lifting system with 800t capacity and S-800 hydraulic hammers was also provided by the company. IHC Holland supplied the S-800 hydraulic hammers used on the barge. Multiple-pipe pile solution was initially used to build the turbine foundations but later single-pile driving technology was applied on a large scale it proved to be more efficient. "Phase I of the wind farm features 21 Siemens wind turbines each rated 2.38MW and 17 3MW Sinovel wind turbines." The Jiangsu Rudong wind farm is located approximately 3km to 8km away from shore in an intertidal area of East China Sea. The project location becomes dry at low-tide but is covered by up to 5m of water during high-tide. The shallow water zone and good wind conditions are the major advantages of this location. Phase I of the wind farm features 21 Siemens wind turbines each rated 2.38MW and 17 3MW Sinovel wind turbines. The rotor diameters of the Siemens and Sinovel turbines are 101m and 90m respectively. Phase II of the wind farm is installed with 20 Goldwind wind turbines, each rated 2.5MW with rotor diameter of 100m. Multi-jacket foundations were built to support the Siemens turbines, while monopile foundations were used for all the other turbines. "Windpower accounts for 1.5% of China’s total power generation." Windpower is the third largest source of electricity in China, followed by thermal and hydropower. Windpower accounts for 1.5% of the nation’s total power generation. China is still in the relatively early stages of developing offshore wind power projects. 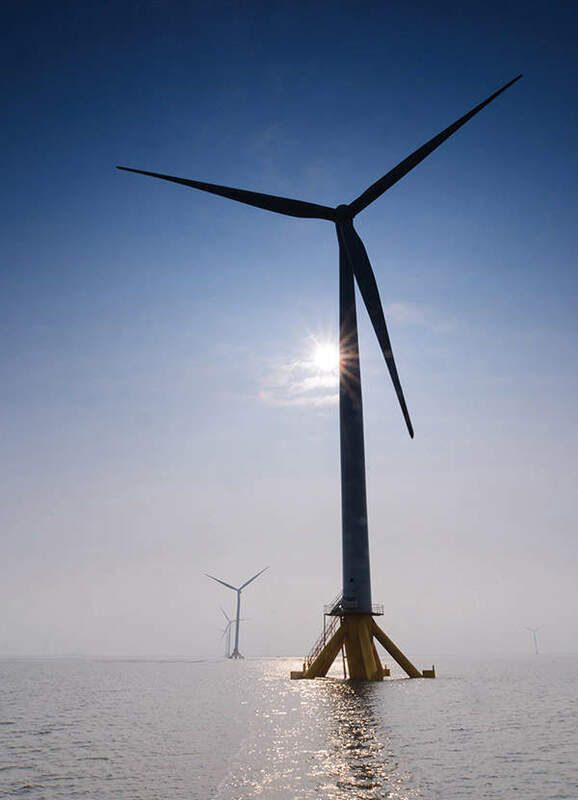 In addition to the 150MW Jiangsu Rudong Offshore, the 102MW Shanghai East Sea Bridge Offshore Wind Farm was the only offshore wind facility operating commercially in the country as of January 2013. However, China is pushing forward with its plan for promoting offshore windpower in the near future. The National Energy Policy has set the target of 5GW offshore wind power capacity by 2015 and 30GW by 2030. The country is expected to celebrate the commercial opening of around ten offshore wind power projects in 2013. Most notable are the second 150MW offshore wind farm in Rudong County and the 116.6MW Shanghai Donghai Bridge (phase II) Offshore Wind Farm.